Trying to create ambiance in each room of the home is hard work. No matter what you want your space to look and feel like, you always have to start with the right base. For most of us, this means choosing a carpet that’s going to set the tone for the entire space without negating or getting in the way of other stylistic choices like wallpaper, window dressing, light fixtures, and furniture. But how can you tell how large or small your carpet needs to be just by looking at an empty room? The key is to think of your space as if it’s already filled with everything you want and to work from there. If you’re trying to find a foolproof way to choose the right carpet, click here or read on for more info. Your furniture and your carpet shouldn’t be at odds with each other. It’s not only important for each piece to complement your rug, but for the furniture in your space to not crowd your carpet or take too much attention away from it. Buying a too-small rug can often have the effect of making your furniture look like it’s piled on top of a smaller space. 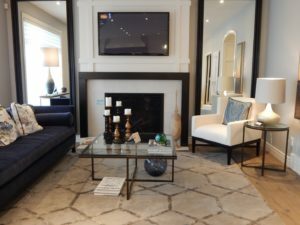 Choosing a larger rug or wall-to-wall carpeting can similarly backfire if you don’t have enough furniture or light fixtures to justify the expansive look and feel of the space. Before you pick your carpet, think about what type of furniture you’re thinking about placing inside the room and how it’s going to work to create a cohesive visual. From there, you can figure out a plan for how the interior is going to look and work around that idea. The general rule of thumb is to place wall-adjacent furniture around the border of a medium-sized rug and to put pieces in a circular or irregular pattern in the center of a large area rug. Room size can be a tricky thing to factor into your decision, especially since you may not be happy with it to begin with. If you’re looking to create a kind of optical illusion with your rug, you’ll want to narrow in on what it is that you want to change about the room’s size and depth. Does the room feel too crowded? Consider taking out a few pieces of furniture and keeping it minimalistic with a smaller, centrally-located rug. Does the space feel too large and roomy? Choose a large rug with bigger, more imposing furniture to center it. If you’re just looking to break up the monotony of a room, opt for a number of small-to-medium sized rugs in the space to tie everything together and prevent things from getting too stale or boring. While most rooms are some variety of either square or rectangular, having an irregularly-shaped room can actually be a blessing in disguise, especially when it comes to decorating. If you’re dealing with a rectangular, elongated space, using a hallway throw can be a great way to de-emphasize the narrowness of the room. For square rooms that are medium-sized, a centrally-placed rug that’s not large enough to cover the entire floor area will give a sense of depth without overcrowding. For rooms that are irregularly or strangely shaped, use this time to experiment with different shapes and sizes. You can find plenty of irregularly-shaped rugs that can add character to a room without looking like an eyesore, and you can also find ways of integrating more traditional rugs into oddly-shaped spaces to even out the room’s tone. When it comes down to it, style is the most important factor in choosing to redecorate a room. When the overall style of a space isn’t working, it doesn’t matter how many great vintage pieces you’ve installed or how much natural light it gets. That’s why your choice of rug is so important. Figuring out how to make a space work has a lot to do with choosing a rug that’s appropriately-sized, tasteful, and able to take on a lot of furniture without disappearing underfoot. If you have a specific idea of what you want your room to look like, try to choose a rug that’s going to act as an undertone or accent to the general theme. 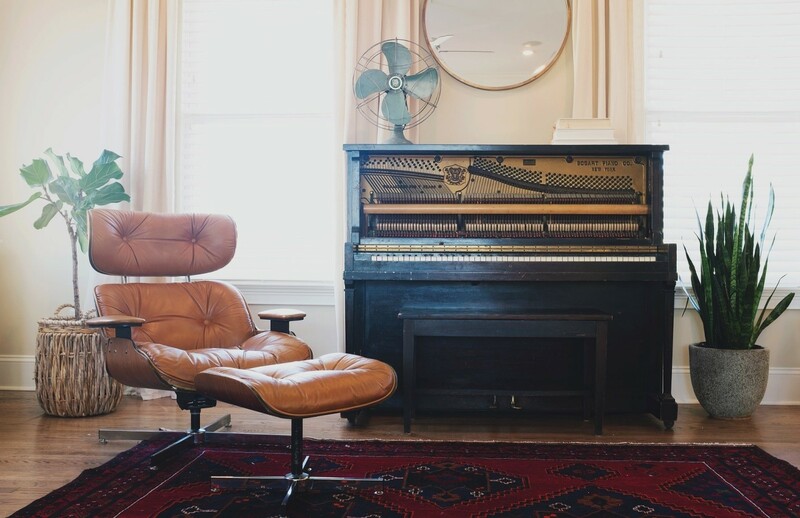 For instance, if you’re going for a rustic look with lots of leather and wood, try to choose a large, earth-toned rug to tie the look together. If you’re going for something a bit more eclectic, try a few medium-sized rugs with striking patterns to add to the fun and funky feel of the room.